Sher joined the Law School in 2007 as a research assistant for Dr John Anderson. Sher has been awarded Faculty prizes in teaching and external relations. Sher is First Year Transition and Regional Rural and Remote Coordinator. Sher is Course Coordinator for Legal System and Method in the undergraduate programme at Newcastle Law School. Sher is on the Executive Board of Women Lawyers Association of NSW and is a member of the NSW Law Society's Diversity and Equity Committee and assists in informing law reform and policy development. As a legal educator, this role allows her to lead by example and connect with lawyers in practice. Sher encourages men and women in their first year (and beyond) at Law School to attend events, engage with the community and build a network, which is invaluable to developing a legal career. Strong professional and community involvement right from the beginning of the degree contributes, in part, to excellent dividends for Newcastle Law Students. Rural and remote outreach with practitioners is part of Sher’s commitment to external engagement. This engagement has resulted in several students gaining employment in remote towns through Sher’s well-developed relationships with lawyers operating all over NSW. Contacts trust that Sher will nominate capable graduates who will thrive in a remote location. They know that she better understands the difficulties of working with clients from these areas and to explore the impact of declining populations, declining services and concentrated social and economic disadvantage. Sher is involved in the Tristan Jepson Memorial Foundation and is active in the Wellness Foundation for Law that supports law students and young lawyers in creating positive and optimistic outlooks for students entering the demanding arena of legal work. Sher also works in the area of the internationalisation of the Australian Law Curriculum and the global processes impacting on Australian domestic law. To this end, Sher has been awarded grants with New Colombo Plan Mobility Programme. In July 2015, Sher led a group of law students to Chang Mai in Northern Thailand to work with issues of statelessness and child trafficking. This experience not only contextualised the theoretical aspects of international law but provided an educational experience for students that built on relationships with the judiciary and local community legal centres. Since then, Sher has accompanied colleagues to Vietnam and Cambodia to help build strong ties and collaborative networks especially in the area of clinical practice in legal education in South East Asia. In 2017 Sher accompanied students to Myanmar to conduct a Legal Studies Externship with BABSEACLE to strengthen Clinical Legal Education in Myanmar. Sher also accompanied students to Kenya and is building on a strong relationship between women lawyers in Kenya and Australia. In 2016 Sher was part of a team that successfully secured a 2017 Commonwealth Government grant as part of the Higher Education Participation and Partnership Programme (HEPPP National Priorities) to support and mentor women from regional Australia so that they may realise educational and career aspirations in law and business. Sher is also a co-investigator in the report on ‘Becoming Wiser Women: Educational aspirations and participation of women of reproductive age in regional, rural and remote communities. The project is designed to develop new and innovative research that addresses an under-researched, under-theorised area of equity and educational access for Indigenous people of Australia. 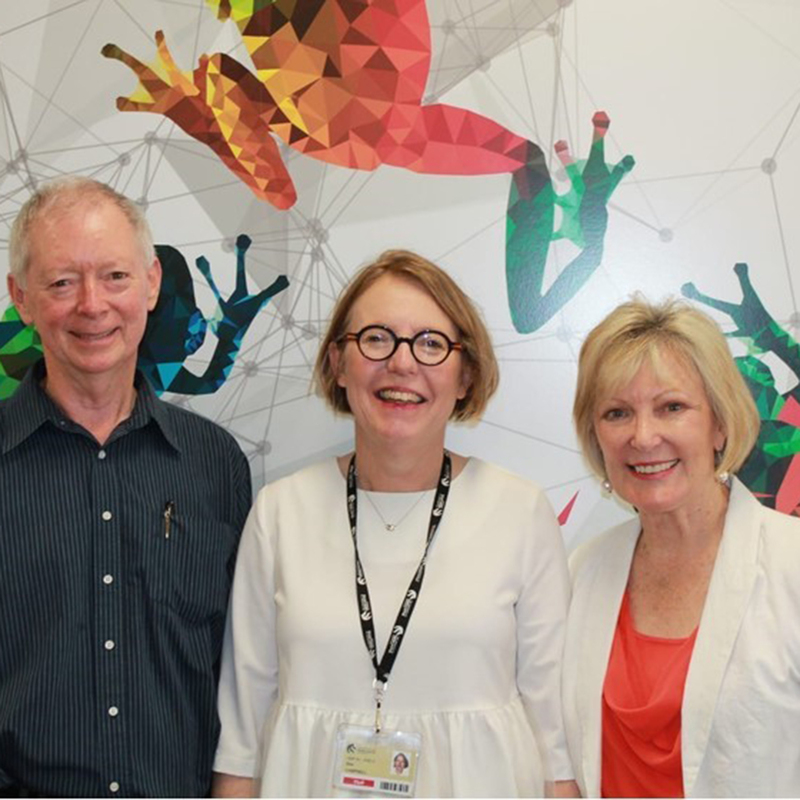 Sher received incubation funding of over $100,000 from the NSW Government to develop a mobile phone application to help reduce the appalling statistics around family violence. The app is an early intervention tool designed to strengthen positive decision-making around behaviours and emotions. Importantly, it reminds defendants how to comply with court orders, aimed at providing safety to partners and family members.